VVS2 Diamonds - Are You Paying More than You Should? 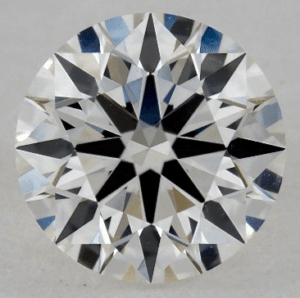 VVS2 Diamonds – With Minute Flaws Only Experts Can See! We have this term in the diamond industry called “mind-clean”. It’s how you would describe a diamond that’s psychologically clean rather than being “eye-clean”. If you choose a mind clean gem, it means you’re rooting for the highest clarity grade simply for ethical reasons. It’s not necessarily the best value for your money, but you have this urge to satisfy your mind with what the world crowns as perfect. Now, this is where VVS2 comes into the mix! It may not be a “mind-clean” or “flawless” diamond, but it is definitely eye clean. And that is what you should be eyeing for if you want to get the biggest bang for your buck. In this post, I’m going to show you what the VVS2 clarity grade is all about. Seeing all these letter pairings can be daunting especially for VVS2 since it’s smack between clarity levels with very minute differences. But it still has its beauty up its sleeve! Along the way, you’re also going to learn if it’s the clarity grade where you can save money! VVS2 diamonds have superb sparkle and brilliance as they have very minute imperfections. Thus, the light can pass through the gems virtually unobstructed! 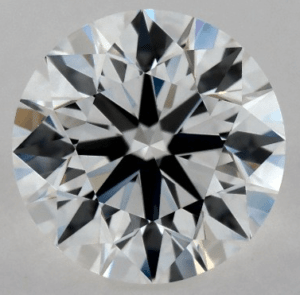 The VVS2 clarity rating is a very high grade where the diamond’s flaws are only seen by an experienced diamond grader. Such flaws are detected by a professional under 10x loupe, but they’re still so difficult to see that they’re almost non-existent. This means that imperfections are so tiny, you’ll need a microscope to spot them! Some might say these flaws are only seen by a trained gemologist on the periphery of the diamond or through the pavilion. And it would take a few minutes to thoroughly evaluate the gem and identify the impurities. However, diamonds in the VVS2 grade will always be eye clean! 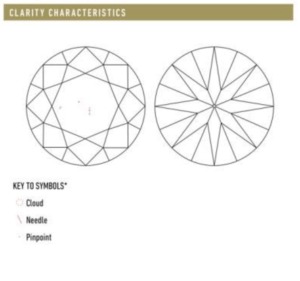 That said, if it’s this complex to see an inclusion in a VVS2 diamond, what more for VVS1 and FL-IF diamonds? 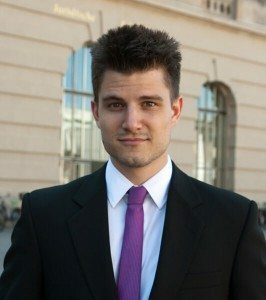 Is it reasonable to opt for a higher clarity grade if even an expert can’t see their flaws? Then again if you’re a purist leaning towards mind clean diamonds, these questions won’t matter. But if you want to get your money’s worth, then VVS2 is for you. To begin with, flaws in these grades are very hard to detect. They may have different titles, but honestly, a regular guy won’t be able to see any difference. There are guidelines for spotting the inclusions, but still, only trained gemologists with 10x magnification or higher can truly know. It all comes down to the amount and size of inclusions, and how visible the inclusions are when viewed from the face up view using 10X loupe. If an inclusion is seen by a grader from the pavilion side (bottom up) with magnification, the diamond would be branded as VVS1. While a VVS2 stone will have inclusions from the face up view, table down, or top half of the diamond. Although for 1.5 carats or more, VVS1 diamonds can show inclusions in the face up view when examined under a loupe. 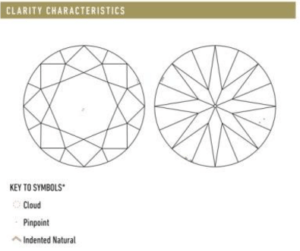 Also, both grades usually show inclusions close to the periphery of the diamond, which means, you won’t see much flaws at the center of the gem. These flaws will only be tiny microscopic pinpoint inclusions or specks. 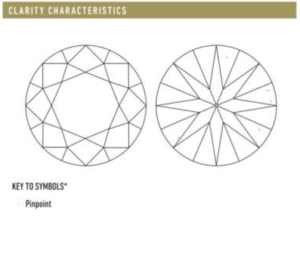 How Much Does a VVS2 Diamond Cost? VVS2 offers a premium price because their diamond roughs are very rare in nature. Here’s a price comparison of a VVS1 and a VVS2 diamond. Given apples to apples, you can save over a thousand dollars with the VVS2 gem. And if you’ll click the images, you’ll see how equally brilliant they both are! But if you’ll go down just a few notches, the size is basically the same, but the price can be incredibly lower. So, if you’ve made up your mind with VVS2, why not check out 0.90 carats and see from there! If you don’t know already, FL and IF diamonds are very rare, and because of that, they’re also very expensive. Choosing VVS2 is wise as they’ll look basically the same. When you go shopping, get acquainted with your diamond! Renowned online vendors provide GIA and AGS certifications and additional information about the gem that will disclose if it has undergone enhancement. Make sure you see those along with the original photo or video of the gem, so you won’t be buying diamonds blindly. I’m always in the search for the best online diamond shops and currently, James Allen tops my list because of their diamond display technology. Since we’re talking about a high clarity grade here, it’s important to really see your gem because a diamond certificate is not be enough. With 360° HD videos and imagery up to 40x magnification, you don’t have to be a gemologist to see an inclusion. 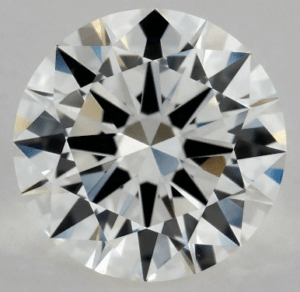 Now, VVS2 is a great choice because it’s more affordable than FL and IF, but what if I tell you there’s a sweet spot in the diamond clarity grading where you can save way more? I mentioned about eye clean diamonds earlier. As a matter of fact, it's not only the four highest grades that are always eye clean, we can say the same for VS1 and VS2 diamonds! That said, you may explore these lower grades and just look for an eye clean diamond to assure a clear gem and in the process, cut the cost. You aren’t going to see inclusions in the table with the naked eye and the diamond will appear clean once set on the ring, so why pay for the premium? Instead, you may go for a higher color, a better setting, or a bigger rock! 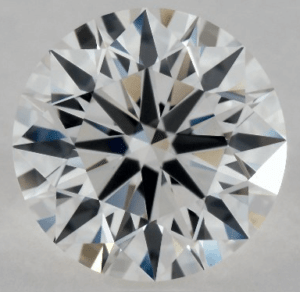 Most importantly, you can spend more on the cut which will make a greater difference in the diamond’s sparkle than lesser flaws you won’t even see in the first place. 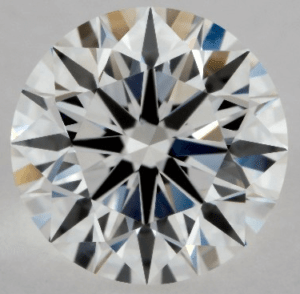 VVS2 is an excellent pick if you can’t afford flawless diamonds, but want virtually the same clarity. Although on a wider scope, if you want to compromise a bit to meet your budget, an eye clean VS1 or VS2 diamond will do the trick!